Nirvana Innovations was founded by two best friends, Cobus & Luann who have known each other since their building days together in Israel 20 years ago. Last year Cobus moved to Oxford, bringing with him 20 years of qualified carpentry experience and knowledge, from New Zealand & Africa, to open his business, Nirvana Innovations. Since Nirvana Innovations began in September, we have been busy in and around Oxford doing conservatories, fitting kitchens and landscaping gardens. 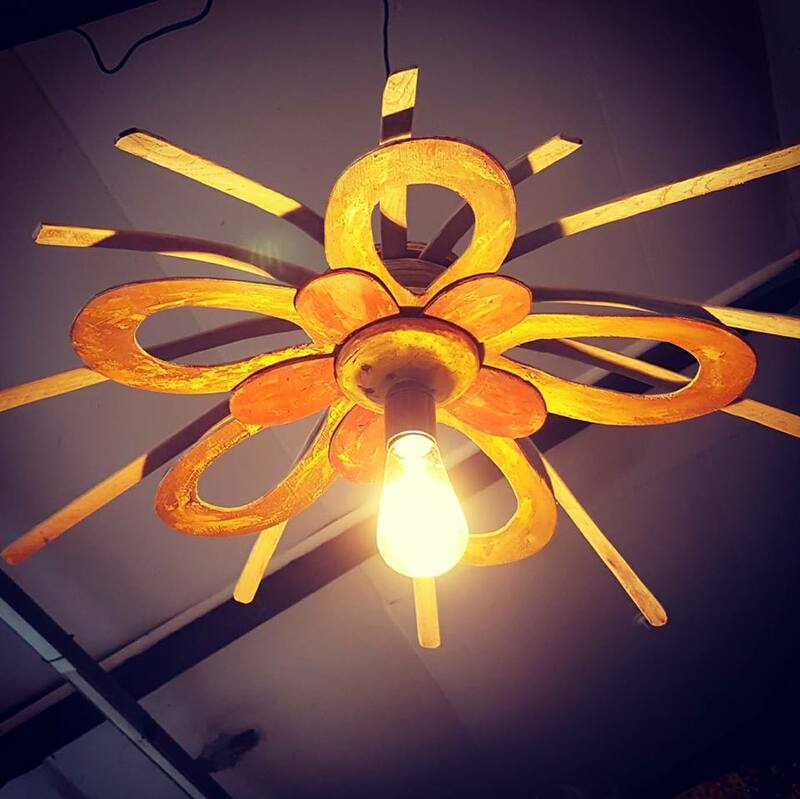 We are also trying to spend as much time in the workshop as possible, to make the space an inspiring workspace for craftsman to create great pieces of work. We would love people to be able to come and see us, see what we do, and discuss plans & ideas. “Cobus showed real craftsmanship when building the roof on our brick-wall conservatory. His work is quick but precise, thorough and with an eye for detail. He takes pride in delivering quality work. 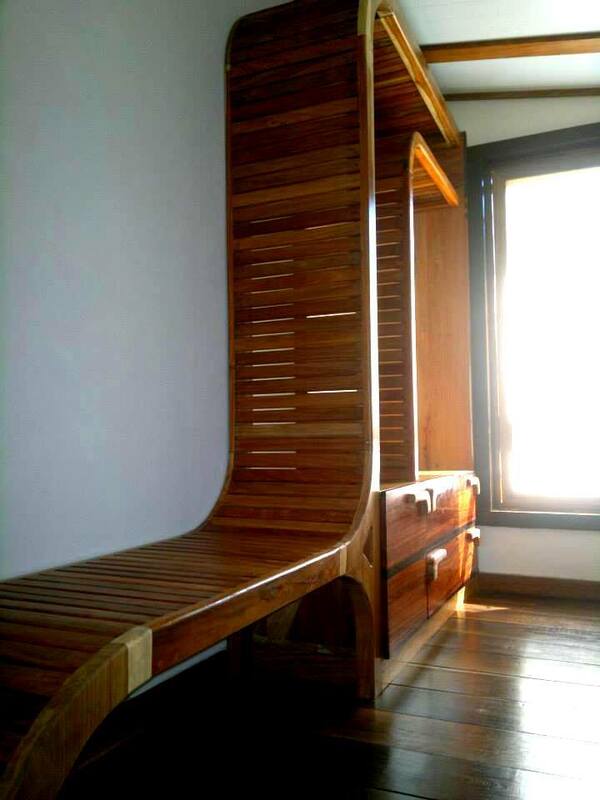 He even showed his artistic side by adding decorative details to the woodwork! 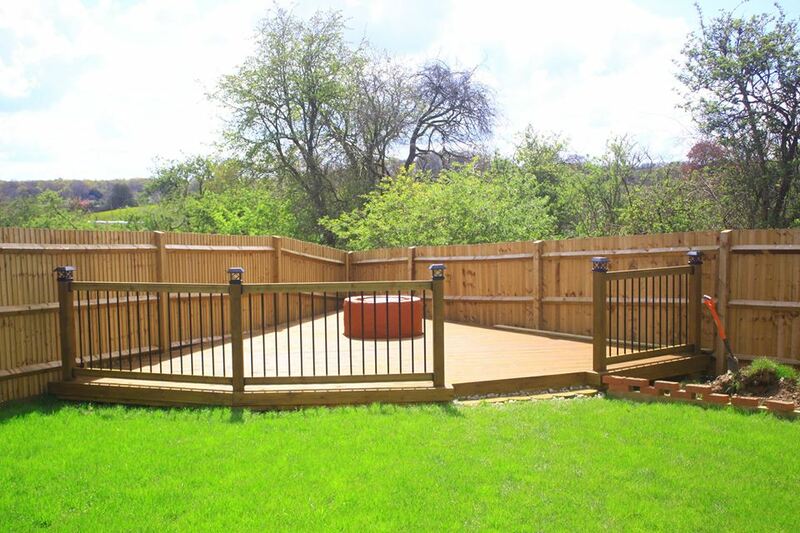 He also designed and landscaped our garden and put down decking. We would (and have) definitely recommended him to anyone looking for an honest, hard-working and high-quality carpenter and builder.” – Jan & Helen Macmullen – For more testimonials click here. 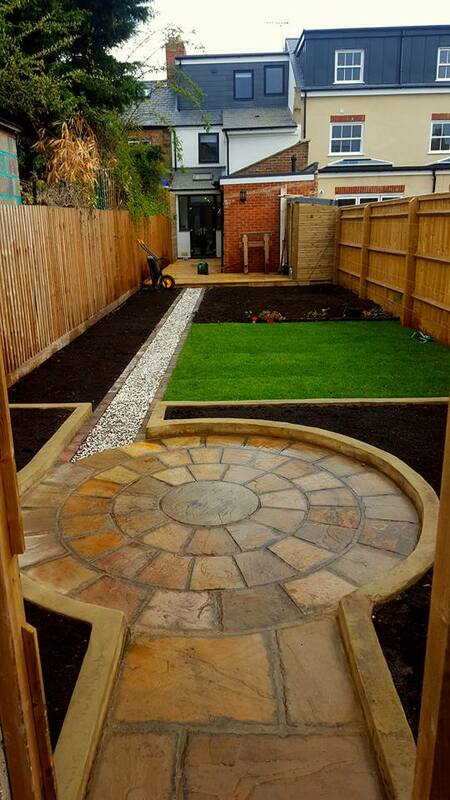 Nirvana Innovations offer high quality landscaping services, and are developing their bespoke Garden Ikhaya portfolio; which are beautiful & functional buildings using the premium grade wood for your garden & home. Your new space could be used for the children, or as a reading room or yoga studio for you, or could be just a beautiful pavilion or pergola to enjoy your garden from. What-ever you choose we guarantee it will be a work of art that you will use & love for a lifetime. Nirvana Innovations can offer many extras including the external landscaping, and decking;, custom made windows & doors, and interior design including bespoke custom made furniture and fittings, & art. Working with our clients we will offer a personal experience where your project will fit your ideas, and budgets, and together we can help transform, and customise your new space in to exactly what you want to make it truly special for you and your family. Nirvana Innovations Bespoke furniture, and art, are unique and functional , and are becoming extremely sought after here in Oxfordshire, and across Europe. Please see Our Portfolio. 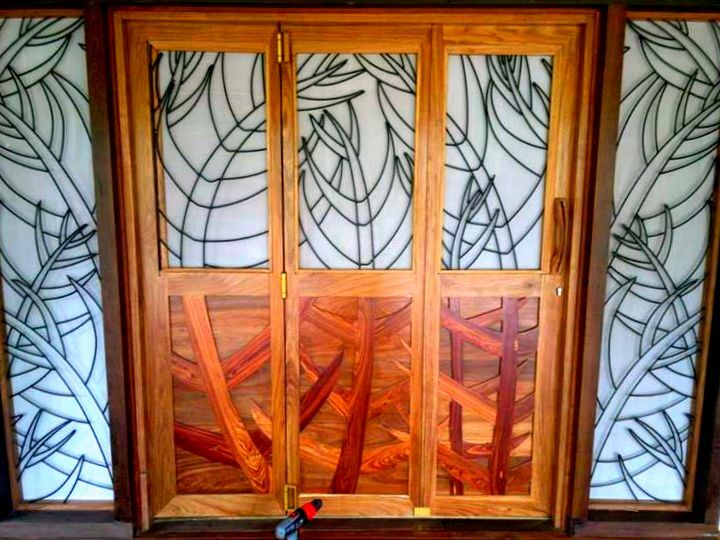 Combining art and craftsmanship with great attention to detail and evident love for working with wood, these pieces are always unique, functional, and always absolutely beautiful. 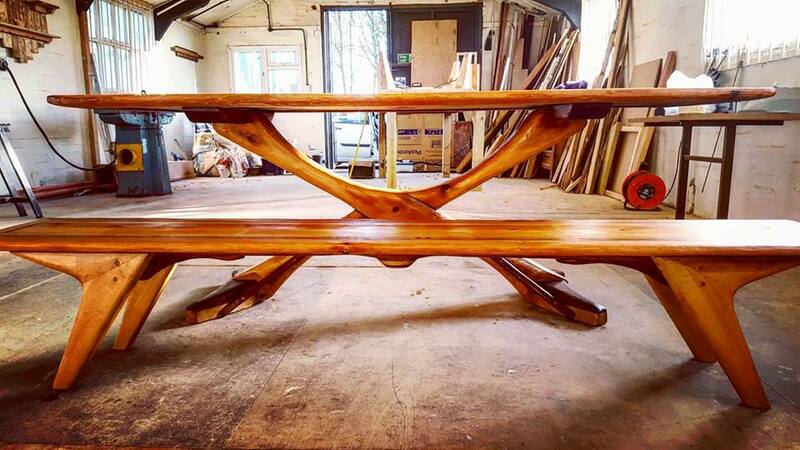 We work with local businesses to ensure our wood is sourced as sustainably as possible, and to offer our local clientele something that will be incredibly special to them. Our most recent work includes a bespoke fitted dressing table, and a hand-crafted wooden table and bench, made from reclaimed antique pine, ash and mahogany (from Oxford university library). 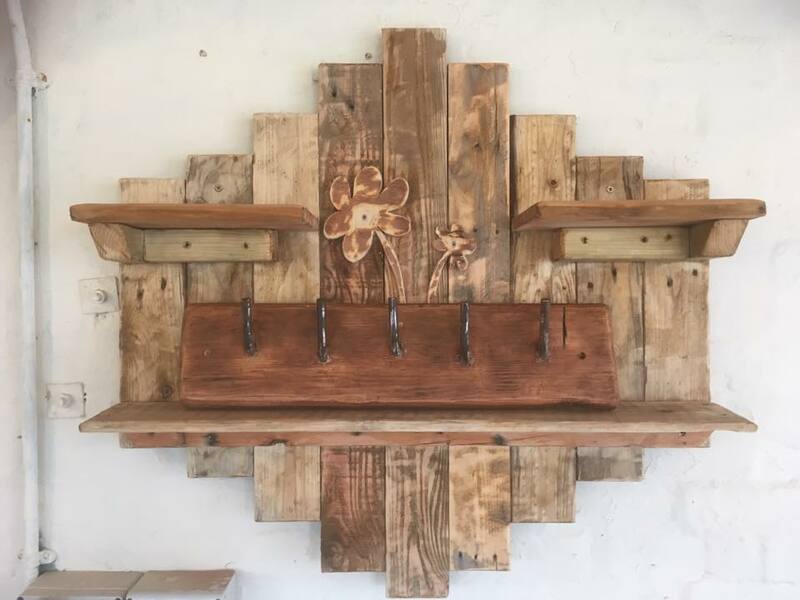 We offer these unique pieces for sale at our workshop, and online as well as take commissions. We also offer clients the opportunity to be involved in the design & creation process at our workshop. 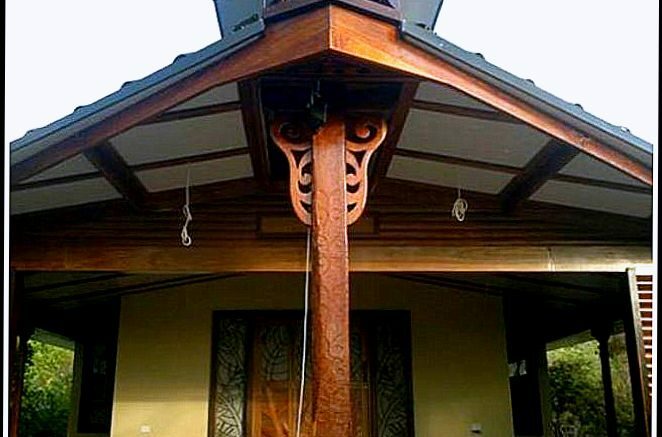 Combining art and craftsmanship, and inspiration from New Zealand and Africa, Nirvana Innovations offer an extensive range of high quality carpentry services, and prides itself on a high standard of work and beautiful craftsmanship, with excellent client relations, and in all areas of construction and renovation work. Jobs big or small. With our focus on timber framing construction, and quality carpentry, Nirvana Innovations are fast developing in to one of Oxfordshire’s best creators of extension building & renovations, and landscape gardens, & garden buildings. Recent projects include conservatories, Luxury timber lodges, landscape & garden pagodas, doors, kitchen units & made to measure furniture & fittings. No job too big, or too small, and we are always looking for new and creative projects to get involved with. 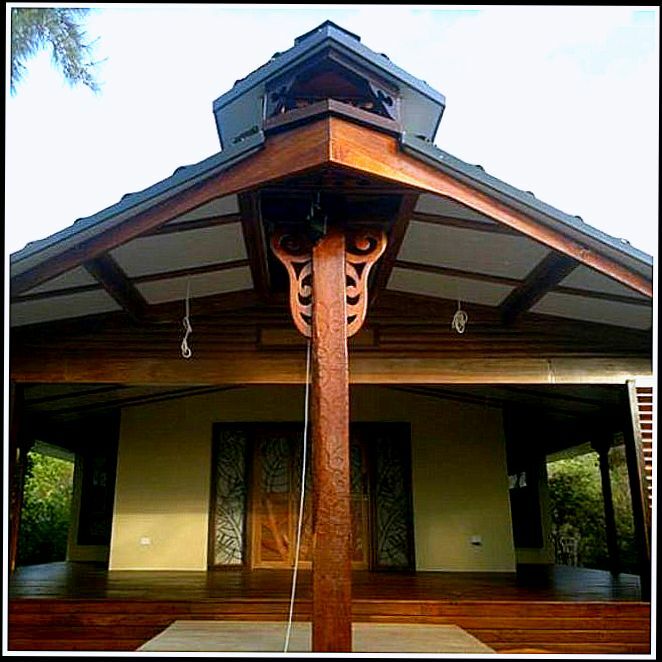 Nirvana Innovations specialise in residential and timber frame construction, as well as whole or part-house renovation projects. We have considerable experience in a variety of building construction methods including timber and light steel-frame construction and concrete, as well as finishing and internal carpentry. Cobus’s experience in New Zealand included working on extensive civil and commercial construction; Supervising & landscaping large projects for the council; town building and construction (the Whangari library); and timber-framing construction, for Ryman Construction. He was also one in the team of three in for Concrete Homes Northland.